Is Your Parent Ready for Assisted Living? How do you know if your elderly loved one needs to move into an assisted living community? Making the decision that you or your aged parent can no longer live on their own can be difficult. It can be a sensitive topic that should be discussed with care and compassion. There are many health benefits to keeping your loved one physically active and socially engaged as part of an assisted living community. But first, let’s define what an assisted living community is and what services they provide. An assisted living community is a residential option for seniors who can no longer live on their own safely and independently. 24-hour care staff is available to support your loved one with the tasks of daily living, such as dressing, bathing, toileting, or eating. In addition, assisted living communities provide daily meals, medication management, socializing with other residents, wellness programs, transportation, recreational activities, exercise classes, housekeeping, laundry services, and private apartments. Some assisted living communities also provide Alzheimer’s and dementia care for the unique needs of those living with memory loss. These communities are secured and include safety precautions, like motion sensors and emergency call buttons. Activities of daily living. Are you overwhelmed by or stressed with the activities of daily living, such as dressing, bathing, or feeding yourself? Do you rely on family and friends for support that they cannot provide? If you need but cannot get consistent assistance, then assisted living may be a good option to meet your needs. Are you regularly seeing your physician? Are you missing medical appointments due to lack of transportation? Are you confused by which medications you should be taking and when? Most assisted living communities have nurses on staff to monitor the health of their residents. Aegis Living also employs medication managers in our communities to monitor drug interactions and medication usage for each resident. Do you worry about your mobility or safety? Are you steady on your feet or do you feel like you may be a fall risk? Does your personal safety give you or your family members stress? 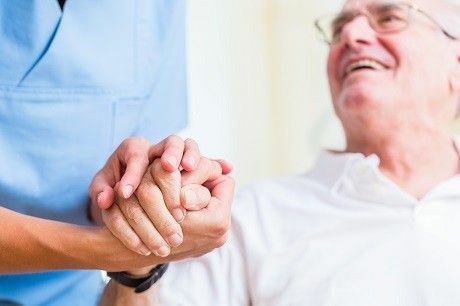 Full-time care staff can be supportive for those with mobility issues, monitor changes in health, and are able to help in the case of an emergency. Home maintenance. Is your home too much to manage on your own? Are you able to clean the house, grocery shop, tend the garden, and handle repairs? An assisted community cares for their residents with not only medical oversight, but also cooking, housekeeping, and laundry services. Are you home alone a lot? Do you feel isolated? Are you able to connect with friends regularly or are you lonely? Social interaction is vital to good health. Joining a community filled with your peers, recreational activities, new neighbors, and friendly staff can be a huge benefit to your health and happiness. If you or your elderly parent is questioning whether they should move into an assisted living community, contact Aegis Living to answer your questions. You can set up an appointment or drop-in to meet our staff, tour the community, and discuss your needs. We are here to help.